Buying or selling a home are among the largest financial investments most people will make in their lifetime. Fulfilling the American dream of homeownership is a complex process and a huge undertaking. 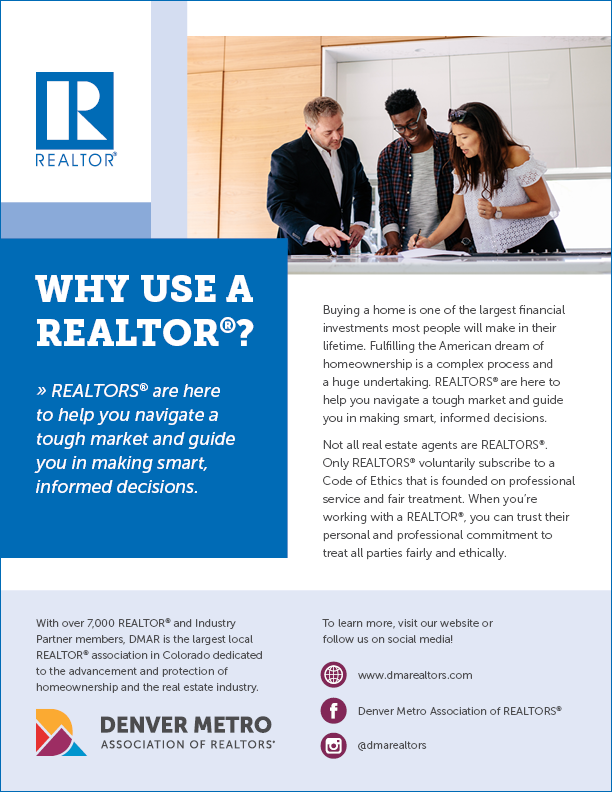 REALTORS® are here to help you navigate a tough market and guide in making smart, informed decisions. Only REALTORS® voluntarily subscribe to a Code of Ethics that is founded on professional service and fair treatment. When you’re working with a REALTOR®, you can trust their personal and professional commitment to ensure an agreement that is equitable and fair to all parties involved.